You want your site to rank high in the search engines, who doesn't? The truth is, there's no magic bullet. While search engine technology and the algorithm formulas are constantly evolving, for the moment we can safely say that search engine crawlers are looking for two things — relevant content and inbound links from other authoritative sites. Graphtek Interactive can help you analyze what is relevant. What are the terms your potential customers are searching for? What are your goals for site traffic? 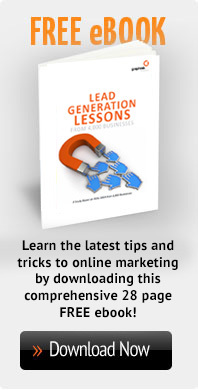 How are visitors converted to prospects or customers? After all of the information has been processed, the Graphtek Interactive team will work with you to understand the basics and make sure your site is technically structured for optimum search results. Website Updates. Keeping your website fresh, up to date and relevant for your customers is important. Research has shown that some visitors think that a business that continually updates its website is more likely to offer good service than one that has an old and stale website. Website Optimization. Through testing and analytics, we identify bottlenecks that may be preventing search engines from crawling your site. Additionally, we'll work with you to make sure that page elements like titles, image alt text and meta tag descriptions adhere to the most up-to-date best practices for the major search engine crawlers. Search Engine Optimization. We perform research on your site, your competition, your search engine keyword rankings and links from other sites to come up with an optimal search engine marketing strategy. Search Engine Advertising. Graphtek Interactive leverages our Internet marketing expertise to drive qualified traffic to your site quickly. Within half an hour of setting it up, you could be showing up on the front pages of Google, Yahoo, Bing, etc. We will test, tweak and optimize your Internet marketing campaigns to be the most profitable they possibly can be. Email Marketing. E-mail marketing is the most cost effective way of keeping in touch with your customer base. We can help by designing a newsletter, and by sending your newsletter out on a monthly basis. Copywriting. The difference between a badly written page and a well written page can make a huge difference. Good copy can easily double, triple and even quadruple the response you get from your website. Social Network Marketing. Facebook and similar sites are rapidly growing in popularity — and are of growing importance to search engines . We can help you position your business and communicate with your customers by leveraging social media websites. Developing an Inbound link strategy. Inbound links to your site can dramatically increase your likelihood of being found online. 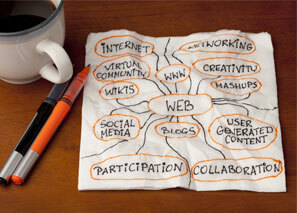 Graphtek Interactive can help you identify opportunities to develop inbound links from authoritative sites. Let Graphtek Interactive help you improve your Search Engine Marketing efforts, increase profits and grow your business!